The sixth race on the final day of the Cheltenham Festival is the Martin Pipe Conditional Jockeys’ Handicap Hurdle over two and a half miles. Gordon Elliott has struck twice already this week in competitive handicaps. Diamond King won the Coral Cup on Wednesday and Cause Of Causes won the Kim Muir Challenge Cup on Thursday. 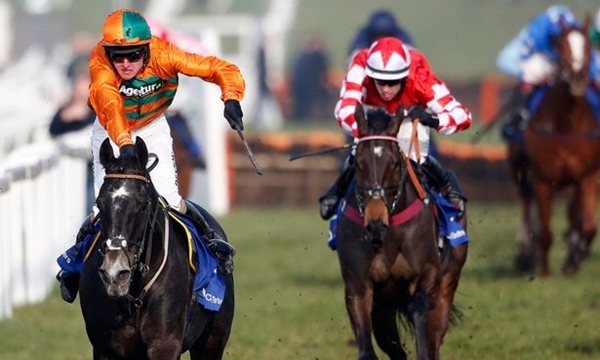 He saddles three strong challengers in the Martin Pipe Hurdle led by the favourite Squouateur. The son of Martaline has gone up 13lbs since winning at Fairyhouse in February. An identical penalty did not prevent Diamond King from following up and Squouateur has plenty of scope for improvement. He was having only his fifth race when beating Coolaghknock Glebe by a length and three-quarters. Westend Star was beaten by Arkwright at Clonmel last month having previous beaten that rival at Thurles. The third Elliott challenger is Jetstream Jack who was all out to win at odds-on at Musselburgh last time. Willie Mullins has four runners here with Buiseness Sivola joined by Childrens List, Whiteout and Urano. David Mullins appears to be riding the most fancied of the three in Childrens List who may have found the three miles just too far at Leopardstown in January. He made rapid headway between the last two flights to hit the front but was reeled in by Golan Lodge. Paul Nicholls saddles Qualando, Mr Mix and Ibis Du Rheu. The former has been well backed in the ante-post market for the Martin Pipe and won the Fred Winter at last year’s Cheltenham festival. Mr Mix has been running well in novice company but is yet to encounter ground as fast as this. Nigel Twiston-Davies enjoyed a great day on Wednesday with two winners. He has decided to run Flying Angel who won last Saturday’s Imperial Cup at Sandown. The grey has gone up 5lbs for his five lengths victory over Solstice Star. Providing that race hasn’t taken too much out of him, he looks to have an excellent each-way chance here. Jonjo O’Neill is yet another trainer to have multiple entries here with Matorico, Montdragon and Goodwood Mirage. The market suggests that Montdragon is the pick of the trio but Matorico could run better than his price suggests. He was a close fourth to Baron Alco at Kempton in December and did not handle the testing conditions at Newbury last time.